Central is the place for Toronto to hear from experts and have conversations about the urban issues that impact us every day. There was a short period in the most recent winter in which I took the King streetcar to work every day. It was a short commute from my apartment in Parkdale, but it felt like a much longer one. For such a crowded streetcar, filled to the brim with perhaps 100 people, this shoulder-to-shoulder commute is dead quiet. People usually look out the window or listen to music; they're in their own little world. We would pass stops in which the streetcar was too full for additional people to get on. During some extremely cold winter days, people would just have to wait. 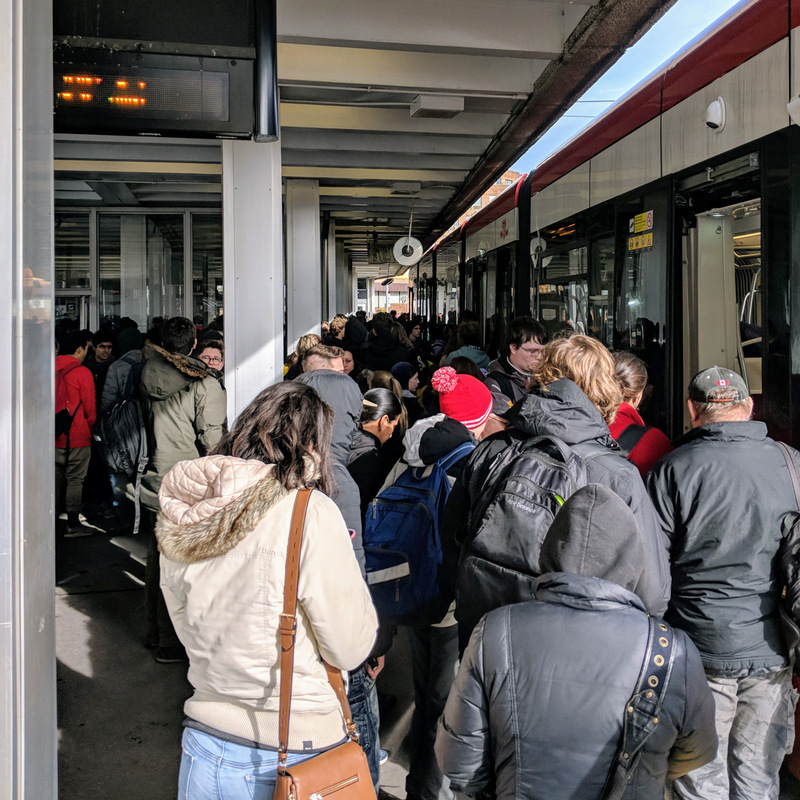 Maybe the next streetcar would have a bit more room - or maybe not. Back on the streetcar, we are relatively warm and comfortable and we're confident that these people who are left in the cold will get to work eventually. Everyone can see that something is wrong with this situation, but the streetcar is silent. After excusing and nudging through the doorway, we can see homeless people under blankets, absorbing heat from subway grates. It's too cold for anyone to be outside for long, but we know this is a recurring situation for many people in Toronto. Every day, we see and feel things that are wrong. Transit and homelessness, for instance, are complex issues. You may be able to rile up a few people during your morning commute by yelling about a imaginary King Street subway, but you probably won't have time to get into the fact that a shrinking violet Toronto City Council has left $2-billion in unfunded capital projects. I believe Central can be the time and place for those conversations with the goal of increasing understanding of complex urban issues like transit, housing, policing, planning and politics. This city is not a zero-sum game. With better understanding of issues, insightful analysis of related factors, and some political courage, things can get better. That's what Central is about. This summer, let's make the time to have overdue conversations.